Hopefully I haven't scared you away with my slight Fall obsession!! :) HA! I just can't help myself, when it comes to Fall layouts. 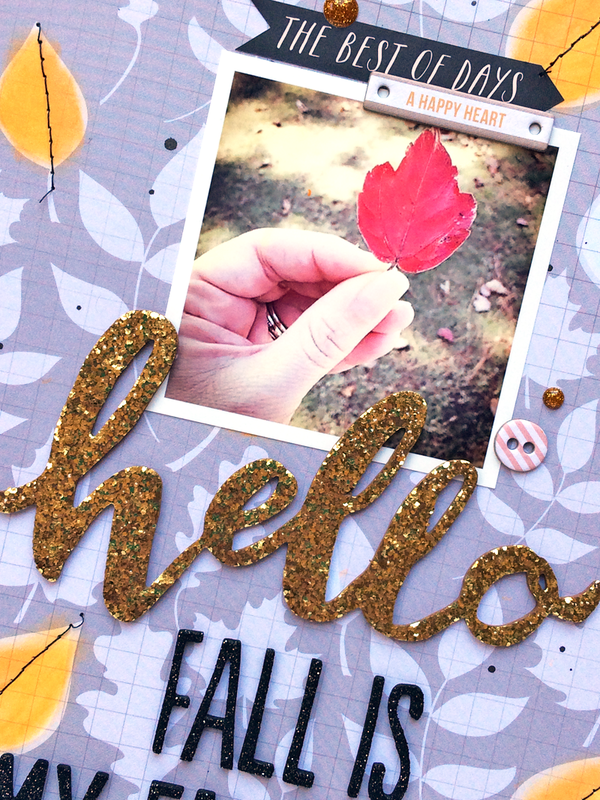 But never fear...even though my layout today for Hip Kit Club has a Fall theme, my card has a totally different look!! 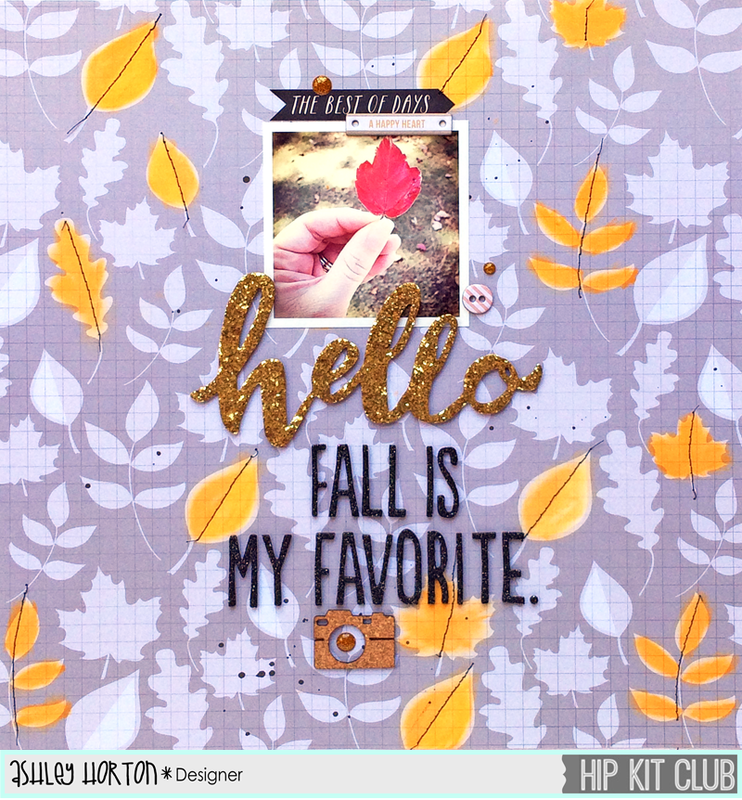 I wanted to add a little something extra to the Elle's Studio leaf patterned paper, included in the October 2014 Main Kit, without covering up much of the pattern. So I grabbed the Gelato from the October 2014 Stamp Add-On Kit, and decided to color in some of the leaves. Once I had my color on, I just smoothed it around using the tip of my finger. And I added a bit of machine stitching for some added texture, after I let the Gelato color dry for a bit. I also kept the design of my layout simple, to keep from covering the background paper. I wanted to create a large title...I'm all about the large titles! So I used the Story and Journal Thickers under my photo, and added the camera cork embellishment from the Elle's Studio Sycamore Lane Bits package. 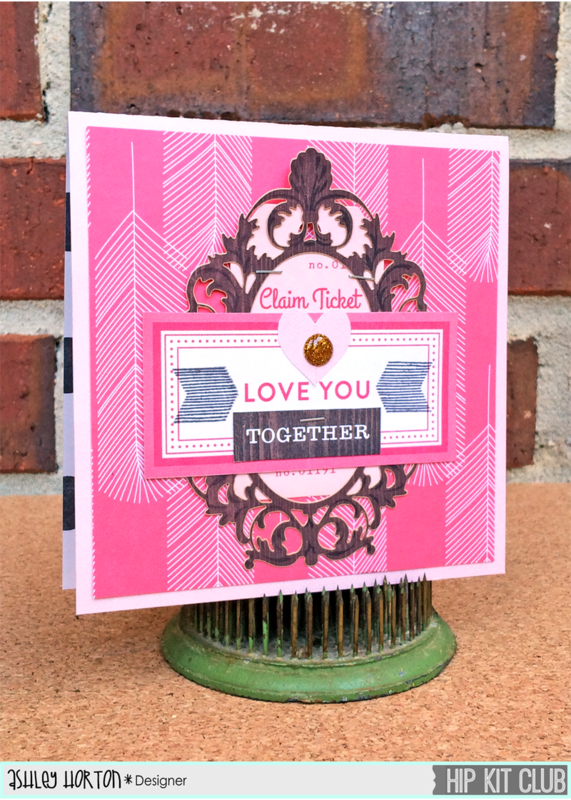 I've been using a lot of my scraps from the October 2014 Hip Kit & Add-On Kits, to create cards this month. But I decided to go for a totally different look on today's card and show you the versatility of the Kits! I pulled out the Red and Pink colors included in the Kit, to make a Love card. I've been wanting to use the wood grain frame from the Crate Paper ephemera pack and it ended up being a perfect contrast on my card. It was a little short, to fit under the Love You tag, so I cut it in half and I was able to make it a little longer, than the original size. 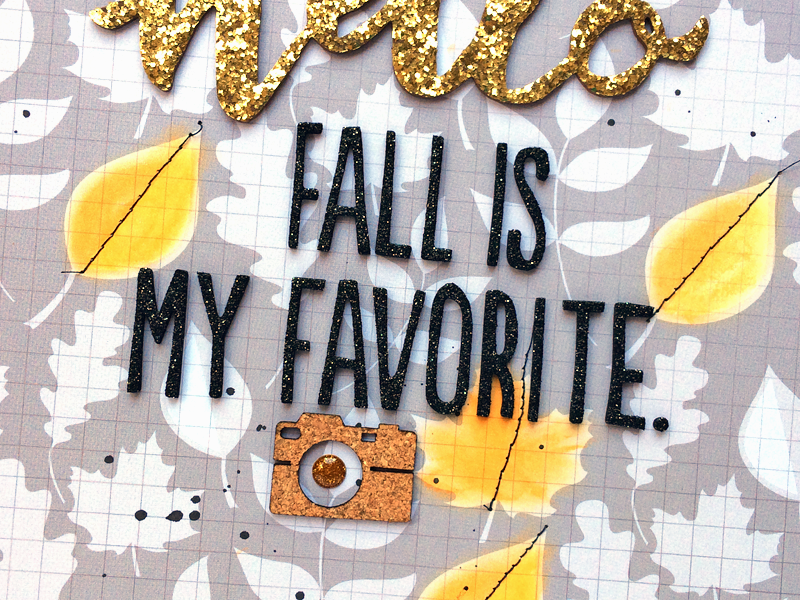 I also love that wood grain chevron stamp from the Elle's Studio Stamp set, so I used it along with the stamp pad included in the October 2014 Stamp Add-On Kit, to add a little emphasis to my sentiment! The Design Team will be bringing you our new projects soon, using the November 2014 Hip Kit & Add-On Kits! So make sure you are ready for some awesome Christmas inspiration! !